As growing attention by the inter-Korean summit, the wind of peace is blowing all over the world. 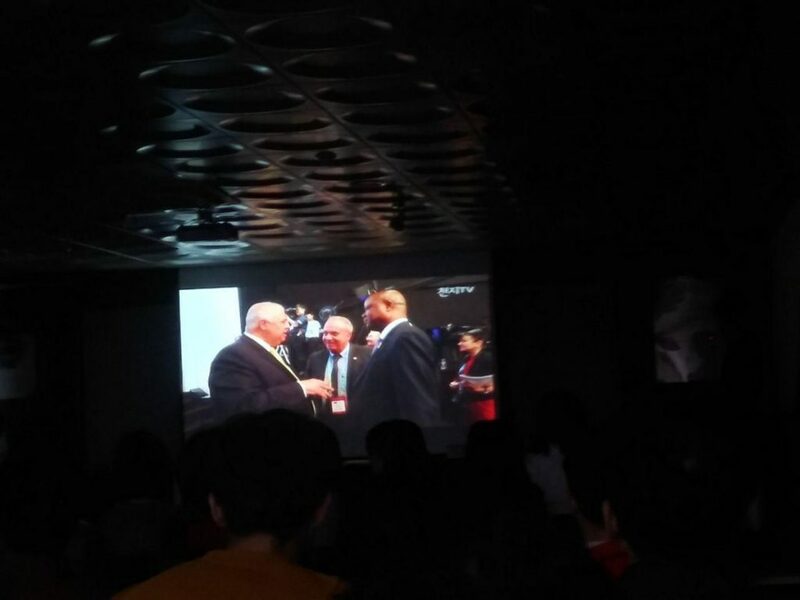 It is to be followed by the highly anticipated North Korea-US summit. In Sweden, there is also peace movement by Korean international NGO. 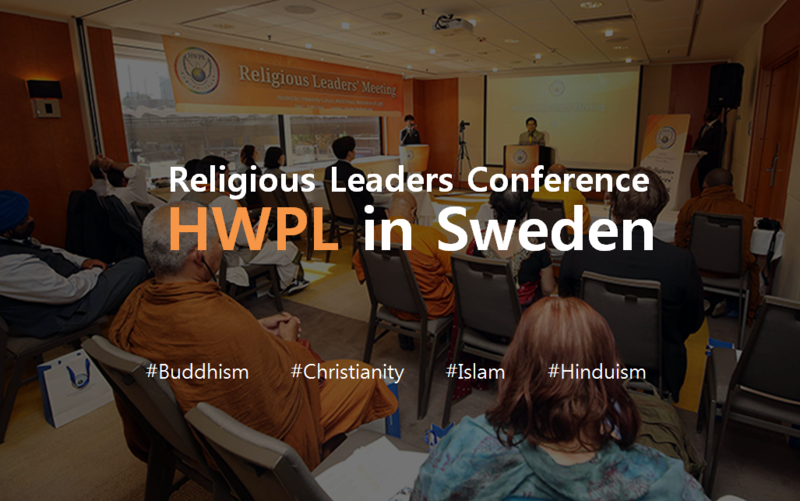 On May 14, the Religious Leaders Conference was held with participants from Buddhism, Christianity, Islam and Hinduism. 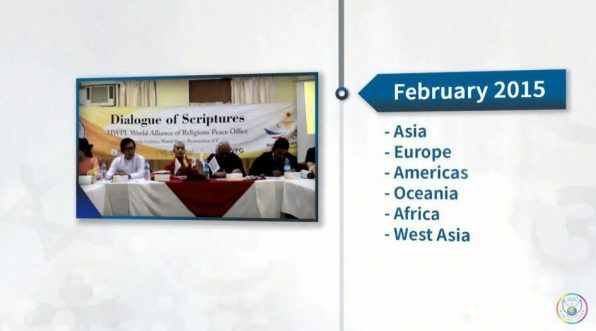 Its purpose is to discuss the further development of inter-religious dialogues for peace-building. 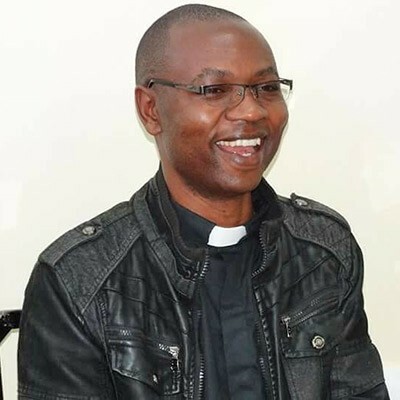 “Everything that religious leaders discuss at the WARP Office must clearly be based on what is written in the scripture, which needs to be comprehensively analyzed and studied for the true alliance of religions. 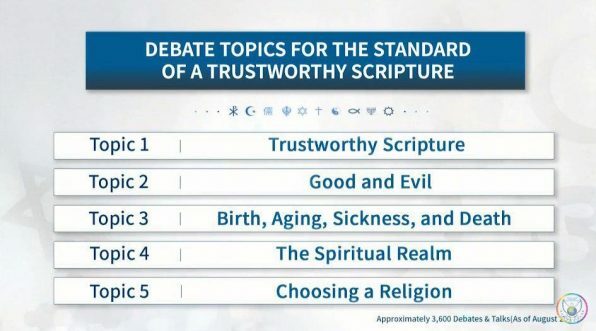 We have to gather all religious scriptures and work to define a trustworthy scripture with a legitimate standard. 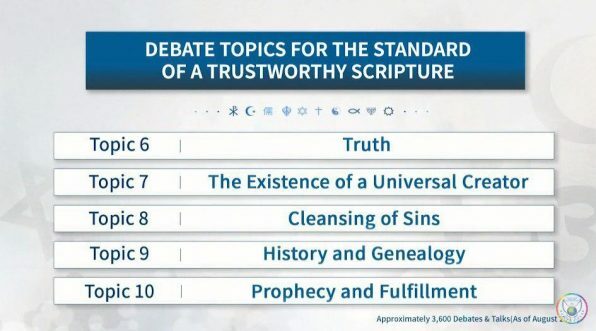 The word is invisible, but it does a lot of work. 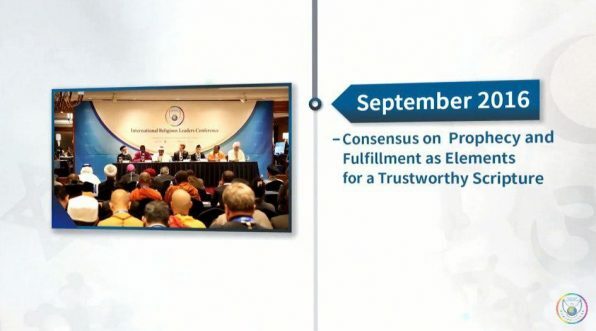 Scriptures play a significant role in the alliance of religions,” said Chairman Lee. 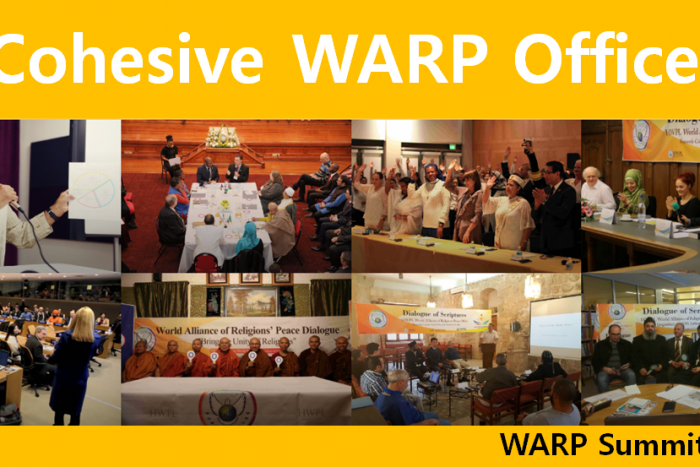 It started from “World Alliance of Religions’ Peace (WARP) Offices”, with 218 locations in 124 countries. 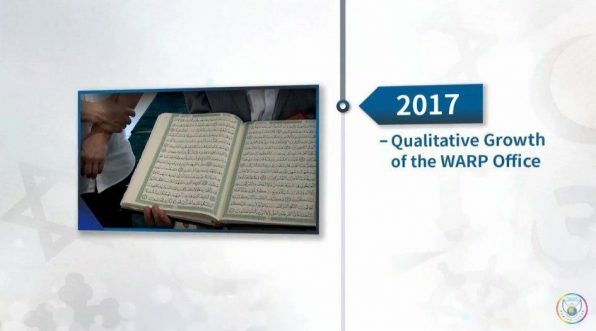 HWPL has carried out this peace project to find the role of religion in peace-building through comparative studies on scriptures. There was a lot of talk and lot solutions came up. 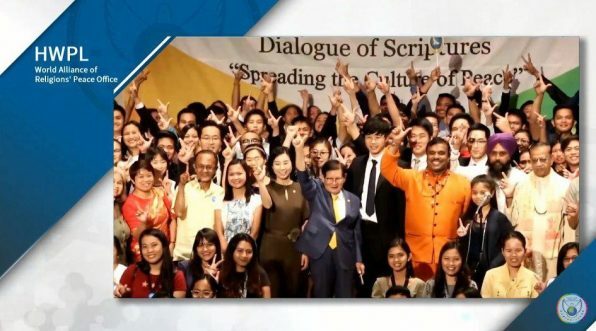 As one of solutions, HWPL is currently hosting Religious Youth Peace Camps globally as a means of developing interfaith reconciliation, so young people can experience peace as a common value permeated in all religions. 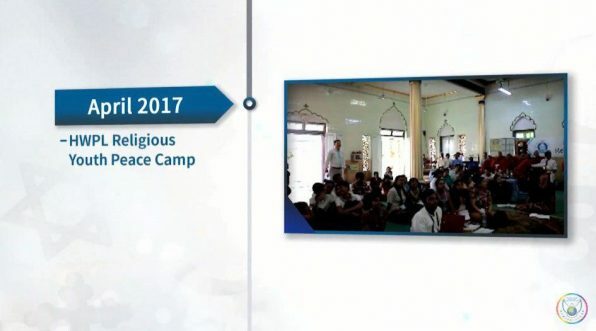 Starting with Cambodia in April of last year, the camp was later held in India, Lithuania, Myanmar, and the Netherlands to assist the youth in learning about the culture and spirit of different religions. 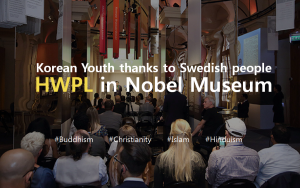 Organized by the International Peace Youth Group (IPYG) affiliated with HWPL, the “Positive Change for Tomorrow” was held at the Nobel Museum on May 15. 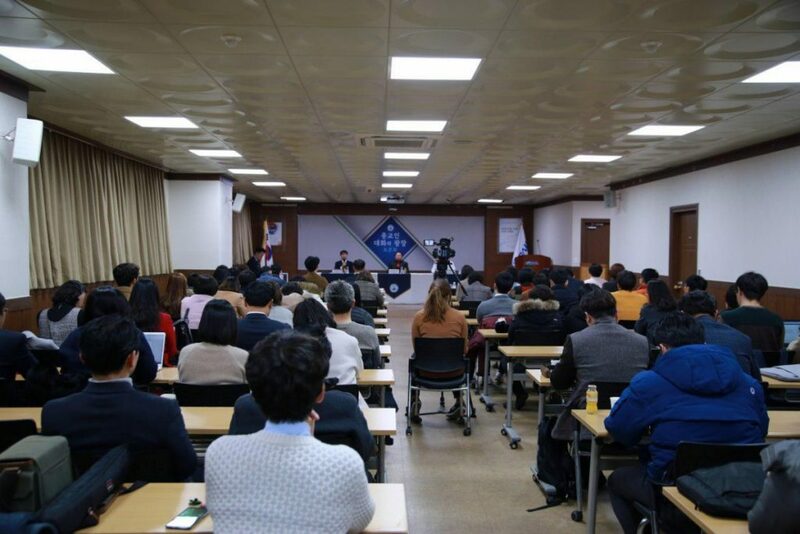 It is to recall the history of peaceful exchanges between Korea and Sweden, from the time when the Swedish Red Cross Field Hospital was dispatched during the 1950s Korean War to the Neutral Nations Supervisory Commission (NNSC) in 2018. 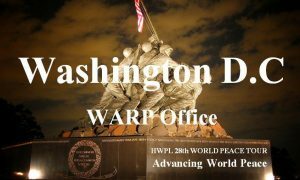 HWPL 28th World Peace tour, Washington D.C WARP office was held. 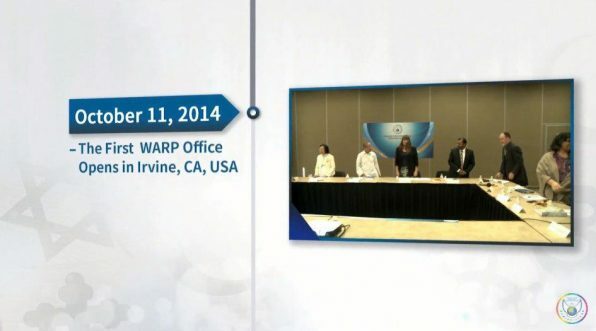 For so long, peace messengers have eagerly waited for the WARP office to be broadcasting LIVE! 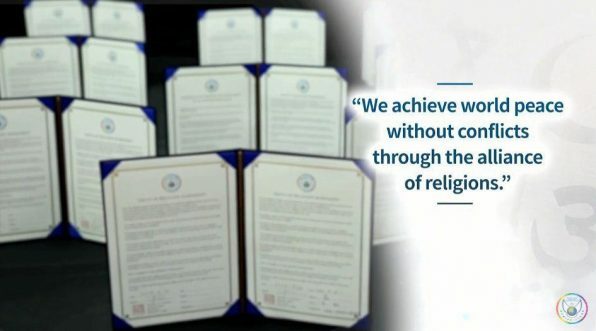 HWPL WARP Office is dedicated to promoting true interfaith harmony through scripture dialogues-realization of peace through finding the trustworthy scripture. 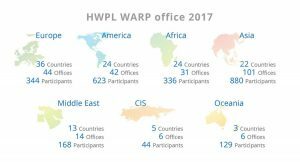 WARP Offices are held regularly at the 216 sites spread over 123 countries (by June 3rd, 2017). 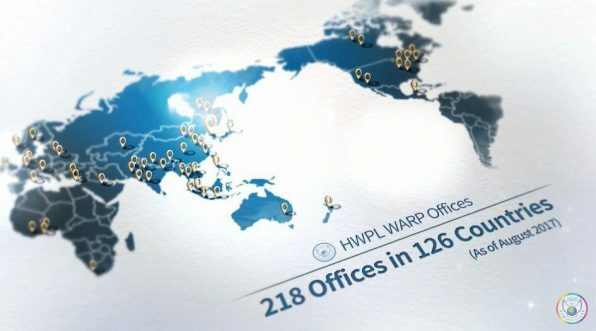 Why is WARP Office needed? Let’s find the reason. 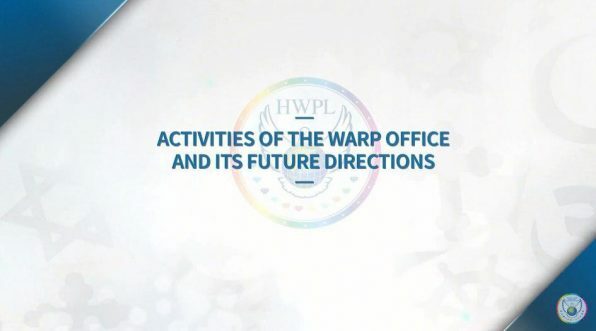 Why is WARP Office needed? 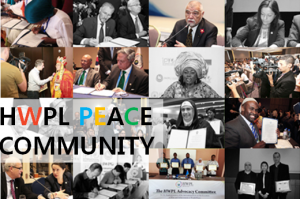 For HWPL, the year 2017 was a quantum leap forward. 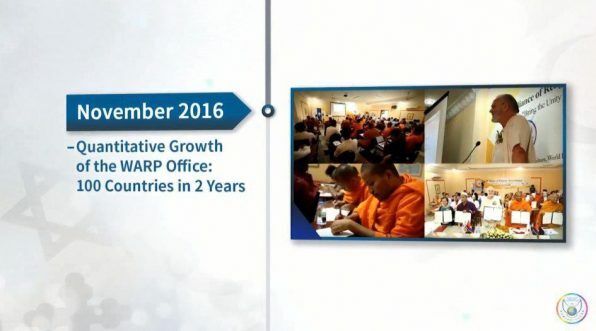 Peace advocacy projects are spreading all around the world. The Legislate Peace Campaign is to establish an international law for peace. 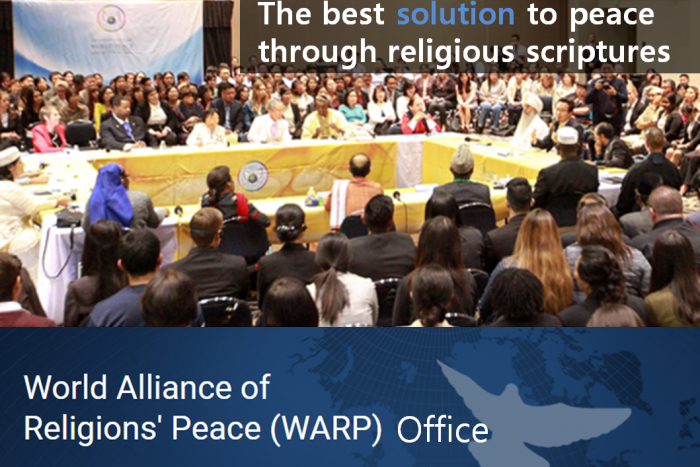 And the WARP Offices are to work for religious harmony. 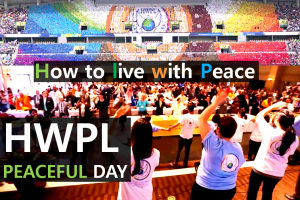 HWPL and its peace messengers are working together to convey this news to their peers around the world. Our progress can be attributed to the journalists who contributed to spreading the news of peace in every corner of the world. Let’s meet MVPs. Culture of peace could spread throughout Kenya!!! 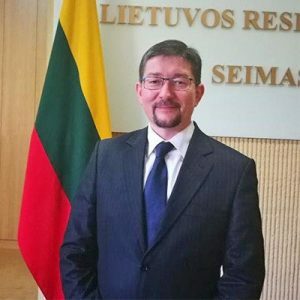 Grand Mufti Romas Jakubauskas, Grand Mufti and Chairman of the Sunni Muslim Religious Centre in Lithuania has recognized what? 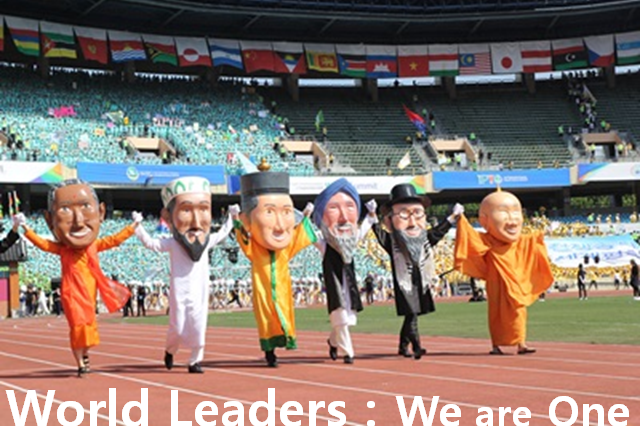 Religious leaders should take the lead! 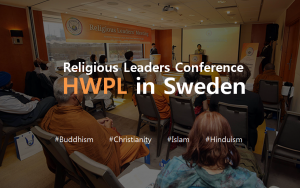 For this reason, in joint coordination with HWPL, the Religious Youth Peace Camp was hosted in June 2017 in Lithuania. The youth can get the opportunity to actively participate in peace culture. They also operated the WARP Office in a Muslim mosque. 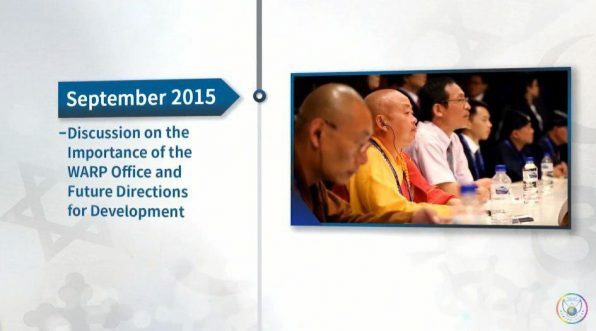 After attending the 3rd Annual Commemoration of the WARP Summit, the Most Rev. 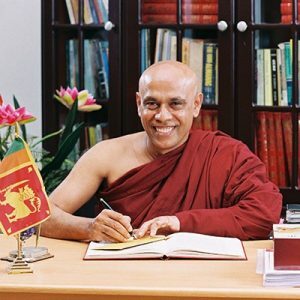 Wattegama Dhammawasa Nayaka Thero, President of Sri Subodharama International Buddhist Center, sponsored “Mini WARP Summitin” and the “1st Religious Youth Peace Camp” in the city of Kandy. 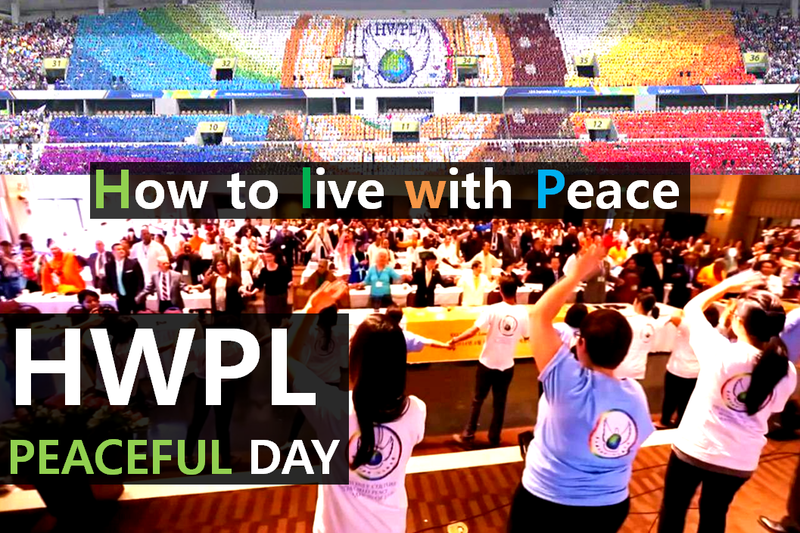 He has stated, “I am so happy about the peace organization, HWPL. I am [attending] the annual summit for 2014~2017. 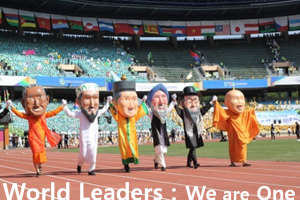 Actually, the alliance of religious leaders pursued by HWPL is greatly engaging many religious leaders in this world. Because in all of the world, in every country, many religious leaders gathered at one place and they are working together as one family. 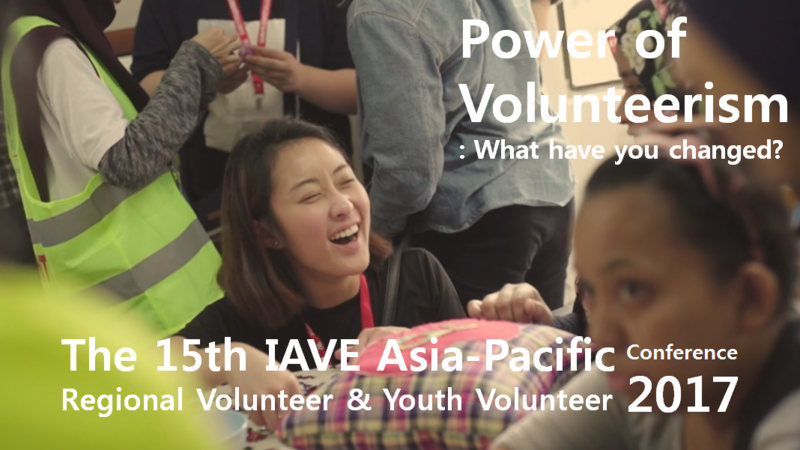 The 15th IAVE Asia Pacific Regional Volunteer Conference & Youth Volunteer Conference was held at Malaysia, on 22 November 2017. 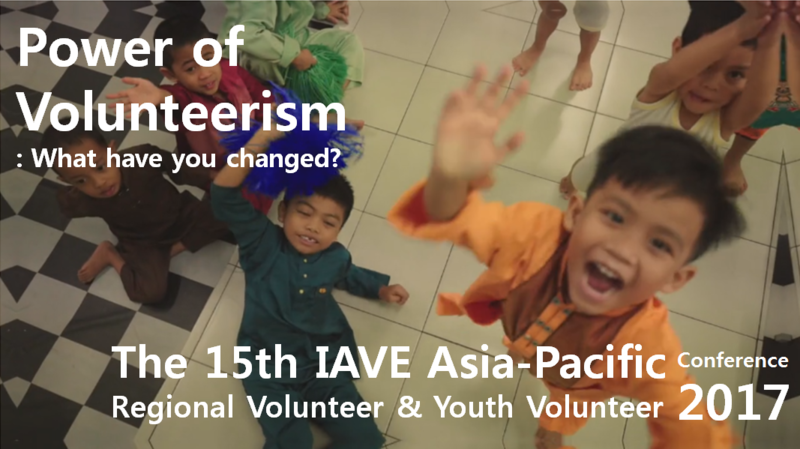 The title is that ‘Power of Volunteerism: What have you changed?’. 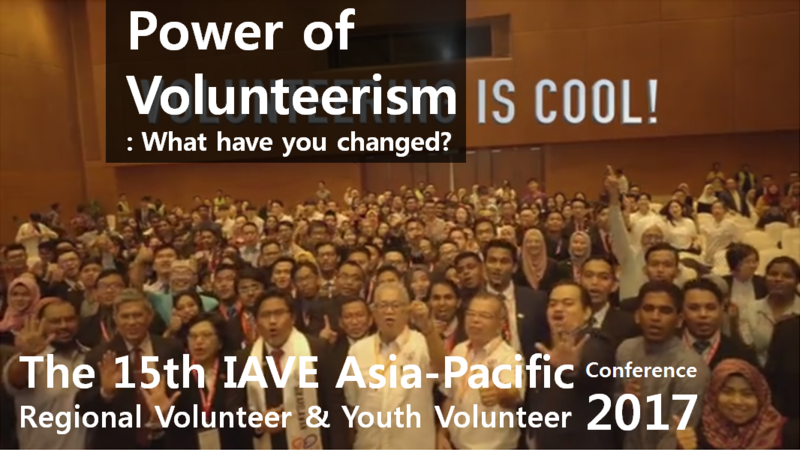 This conference was hosted by Yayasan Salam Malaysia, the biggest volunteer NGO in this area and attended by 610 people from 32 countries. 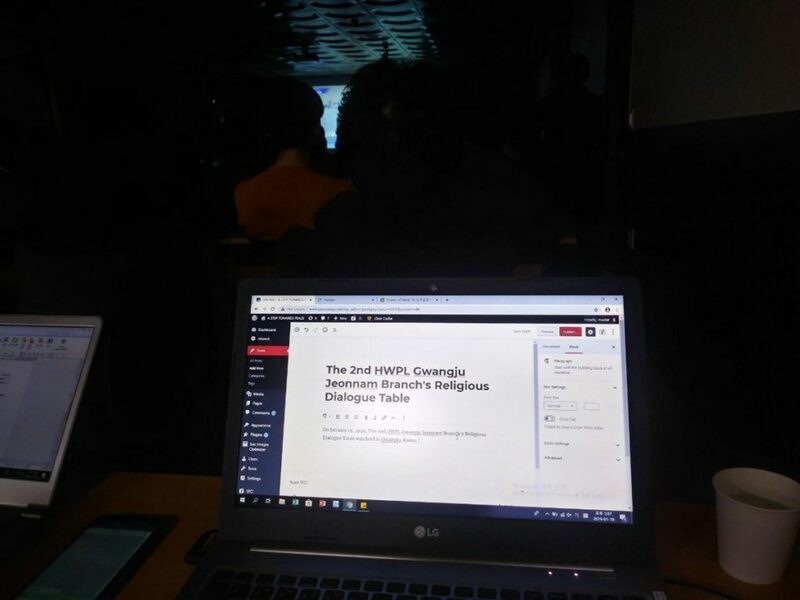 The Youth Conference was inspired by one summit. 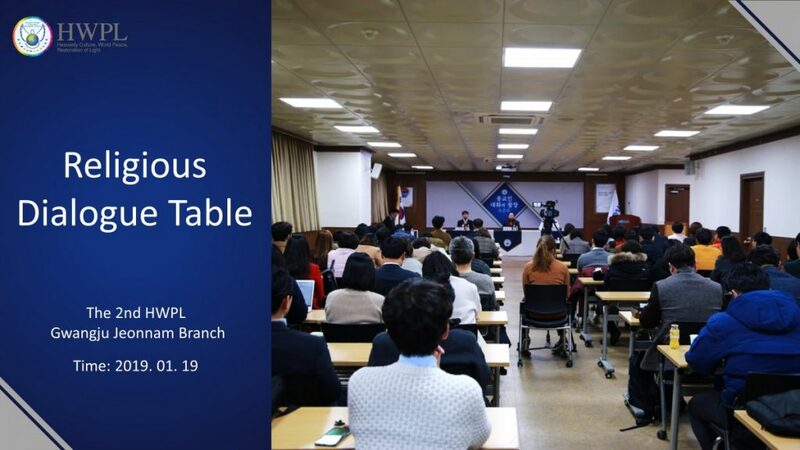 They discussed for peace in session, the Region-Specific Discussion for the Implementation of the Declaration of Peace and Cessation of War (DPCW). This peaceful summit is ‘3rd Annual Commemoration of the WARP Summit 2017′ held in September. At that time, nine Malaysian delegation members discussed action plans under the title of “Establishing Collaborative Governance for Peace“. 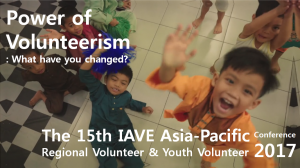 The International Association for Volunteer Effort (IAVE) is an international NGO for volunteerism, founded in 1970. IAVE advocates interaction between the governments of each country and civil society. 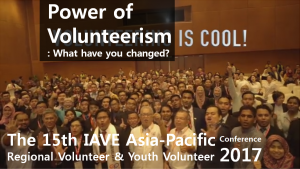 HWPL delivered a keynote speech during the opening ceremony of the IAVE conference. 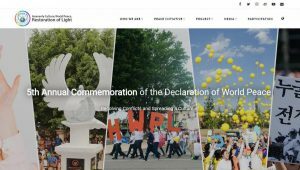 One project director of the HWPL said, “The fact that we are the owner of our community, country and furthermore the human society that we belong to…this ownership is the very foundation of volunteerism. What values are sowed in young peoples’ hearts decides our future. Thus, peace education is the most powerful way to inherit the legacy of peace to the future generations for them to obtain this sense of ownership” I think we need many friends who are man of action. But I should look back me first. 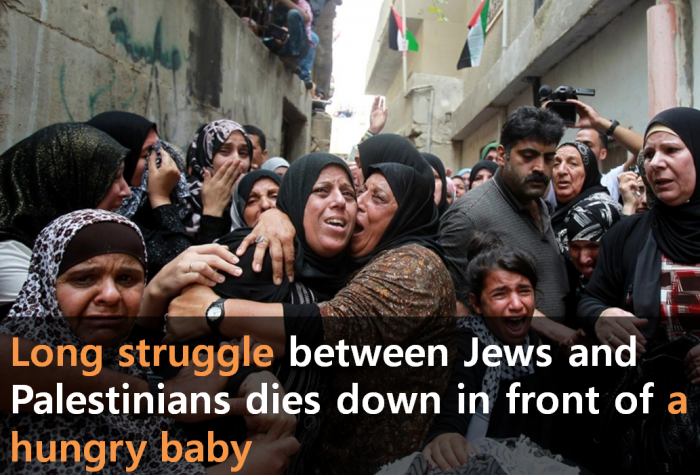 That’s why peace education is needed. It is a role-play game. 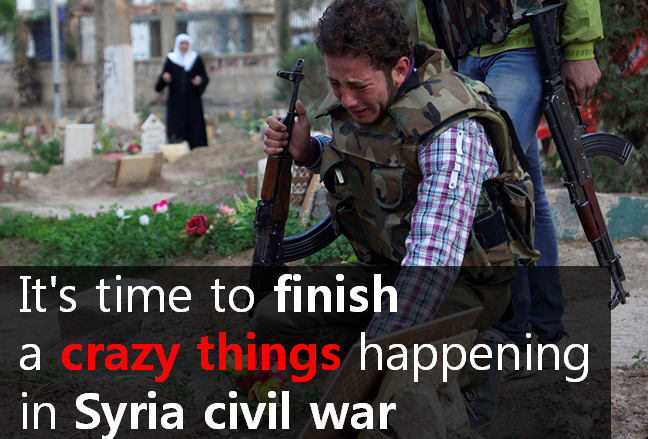 You can become decision-makers who have the mission of building a peaceful society. You must achieve peace. Wafa Aimi, a student of international law at USIM. She is strong and wonderful. 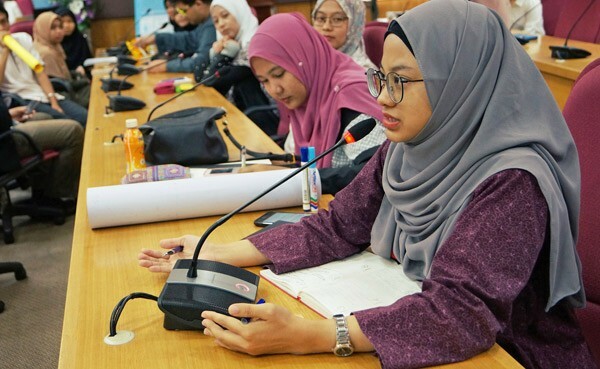 Wafa Aimi, a student of international law at USIM, said “The invention of a legal framework and all these initiatives will give a big impact in order to foster peace at both national and international levels. 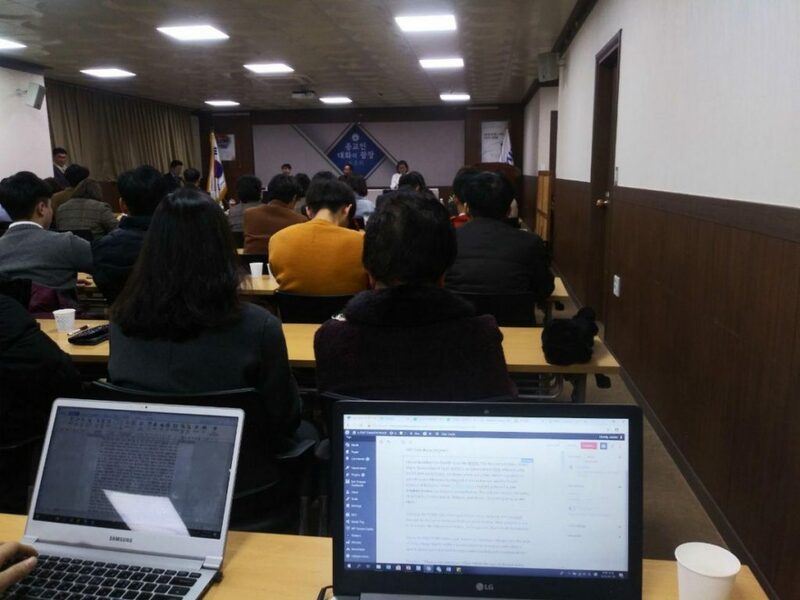 The DPCW would be a plausible check and balance instrument to limit the inherent rights for a state to resort to a war consonant with other considerations. These are the catalysts of positive changes and it will eventually show its path for developing peace processes in our world. 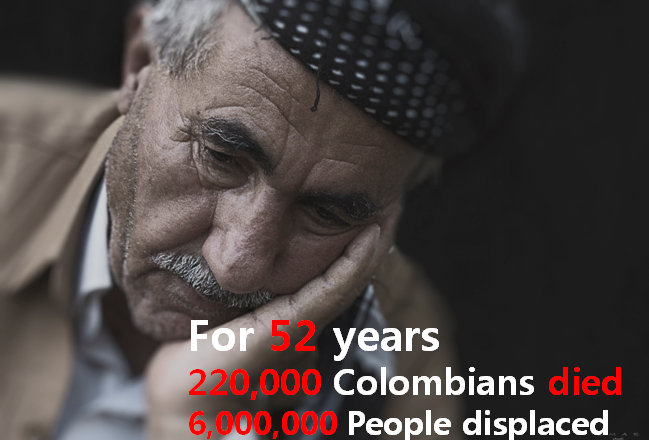 The international community needs a wide-ranging legal approach that can guide and help the citizens, irrespective of their ethnicities, nationalities and religions. 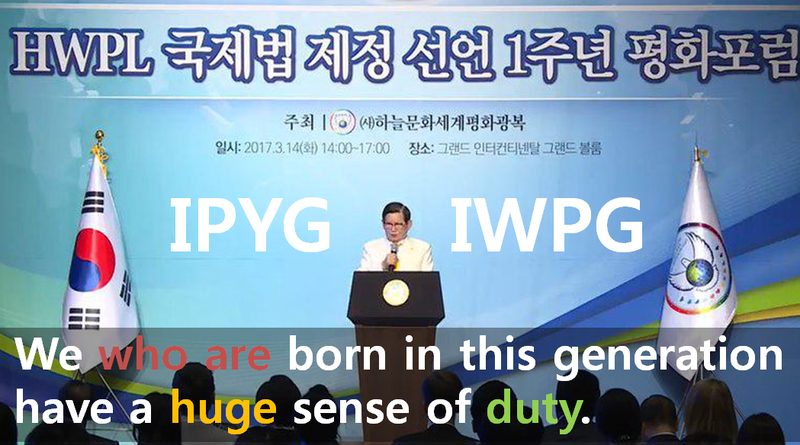 “Although challenges are inevitable in the form of ethnic hatred and religious conflict…but as quoted from HWPL Chairman’s speech at 3rd WARP Summit 2017, “This precious and indispensable gift was bestowed upon the human race as a legacy from heaven. Who must protect our world? It is us, the family of the global village. 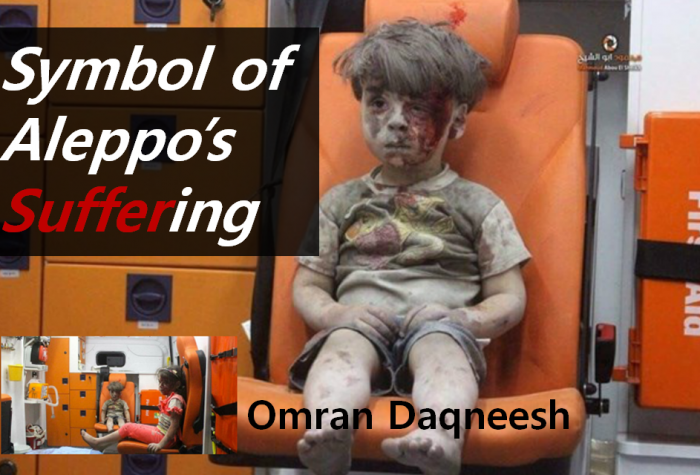 Neither wealth nor power can be passed down as a heritage if we fail to stop wars. Mankind and our Earth will share a fatal destiny.” I hope that more youth become powerful ‘peace messengers‘. This site’s video is really cool. 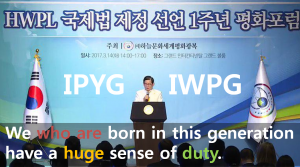 The IPYG, an organization of international youth leaders, is carrying out peace activities to protect the future of the earth by becoming messengers of peace. 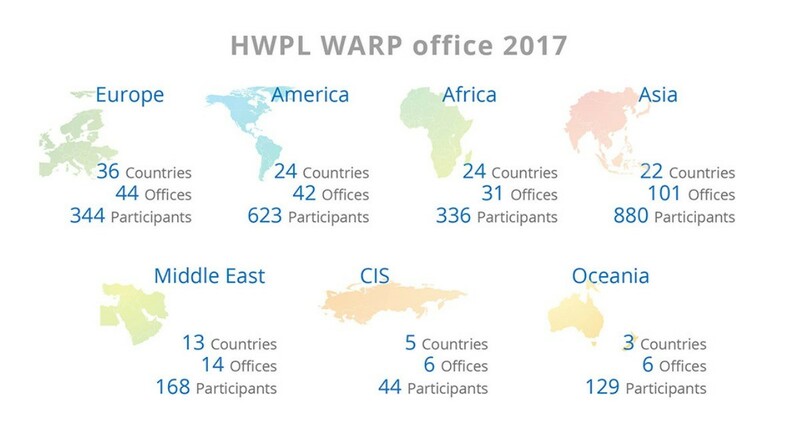 IWPG, and organization of international women leaders, is carrying out peace activities to leave a world of peace as a legacy for the future generations. 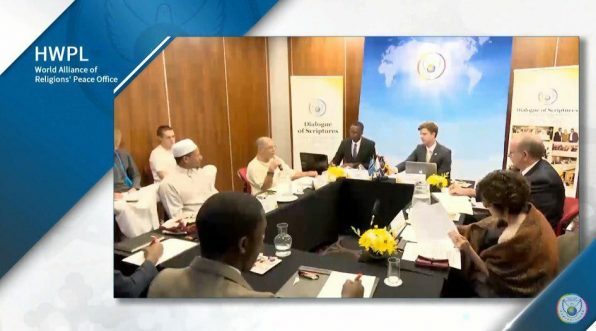 The religious leaders, with a common goal of achieving harmony among religions for the cessation of war are working to foster harmony and understanding among religions through the HWPL WARP Offices. 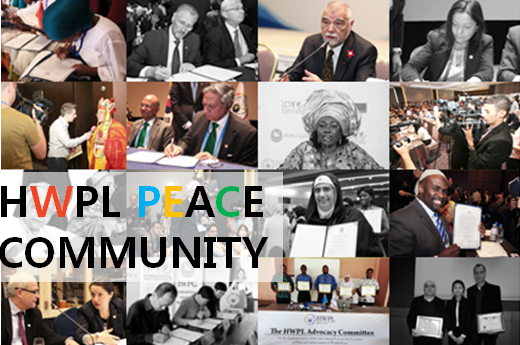 The HWPL International Law Peace Committee, with the love of nation, people, and peace, is working to achieve peace and cessation of war through international law. 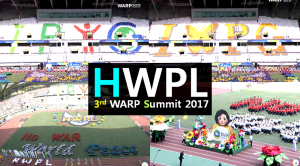 Chairman Man Hee Lee, the founder of HWPL, is presenting solutions to peace such as the Declaration of Peace and Cessation of War, and is taking the lead in a global peace movement. Chairwoman, the founder of the IWPG, is awakening the women around the world that they have the key to make peace a reality.